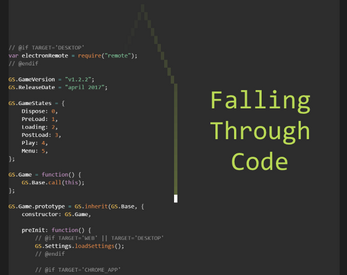 Falling Through Code is a hybrid vertically scrolling game where the levels are source code files. 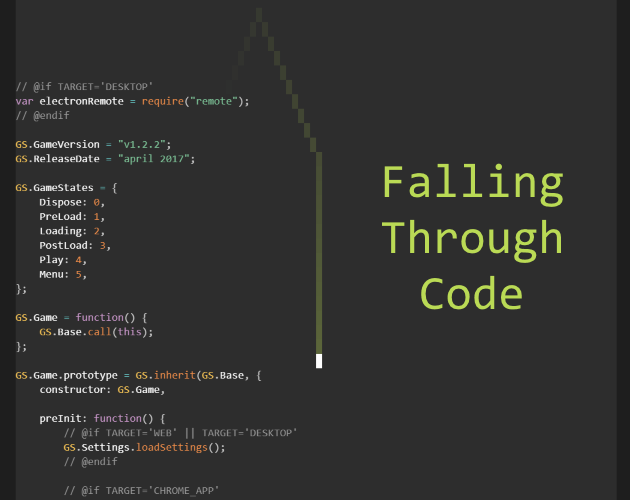 You start at the top of the file, controlling a green cursor with the arrow keys, and must work your way down to the end. The sample level can be substituted by any source code file via URL or choosing a local file.